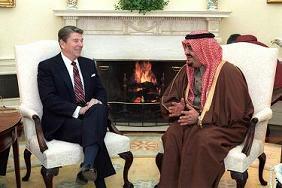 There is a special moment in every president’s life when the Saudi check for his presidential library arrives. But Ronald Reagan did better than that. New Mideast tell-all A World of Trouble is packed with important revelations, but for our purposes the story that matters is about a man and a horse. Or several. And a briefcase full of diamonds. Author Patrick Tyler shows Ronald Reagan scheming to keep two horses given him by our gallant Saudi allies, plotting with then [and current Bush] White House Counsel Fred Fielding to hide them on a neighbor’s ranch. The law required the president to donate the horses to the public. Nancy got $2 million dollars of diamonds, stashed at Harry Winston. 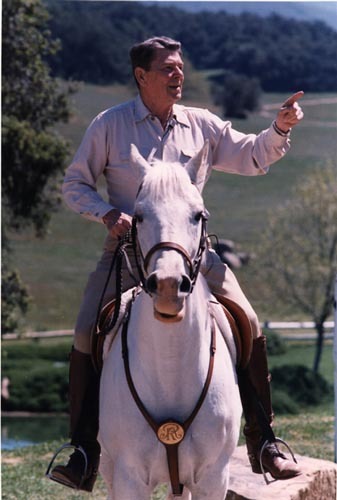 Reagan was endlessly photographed with his horse “El Alamein,” which Reagan received while in office from distinguished side-burn wearer and Mexican President Jose Lopez Portillo. How the horse was snuck past the lawyers is not known. 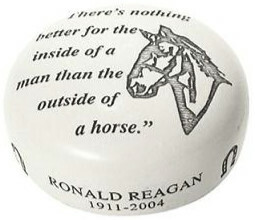 How all this squared with Reagan’s legendary rules to live by is also unknown. 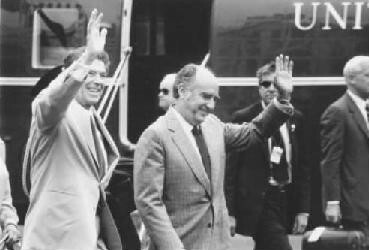 This entry (permalink) was posted on Tuesday, January 6th, 2009 at 2:32 PM by mr.president and categorized in AMERICAN HISTORY, AMERICAN PRESIDENTS, HISTORY IN THE NEWS, NANCY REAGAN, PLACES & THINGS NAMED REAGAN, PRESIDENTIAL HISTORIAN, PRESIDENTIAL HISTORY, PRESIDENTIAL LIBRARY, PRESIDENTIAL RECREATION, PRESIDENTS ABROAD, PRESIDENTS OF THE UNITED STATES, RONALD REAGAN, UNITED STATES HISTORY, US PRESIDENTS, WHITE HOUSE HISTORY.